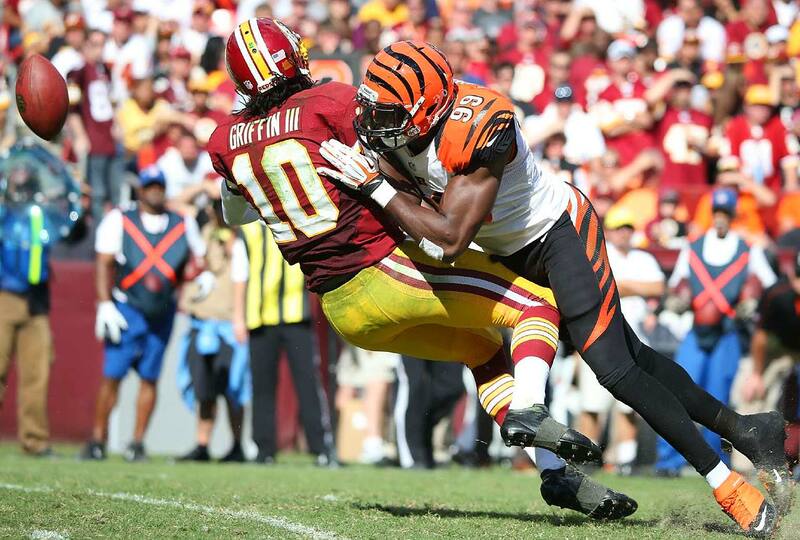 Washington Redskins quarterback Robert Griffin III's concussion is not considered severe, and he could play next week against the Ravens. 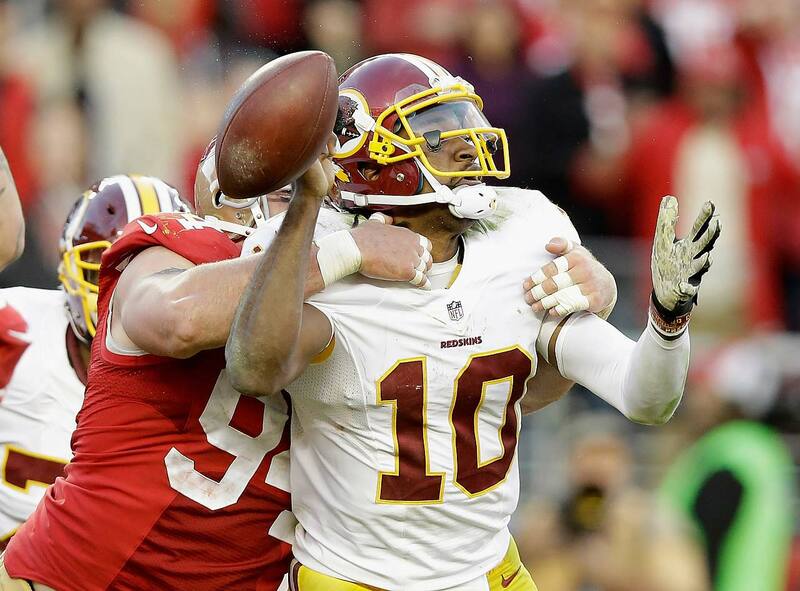 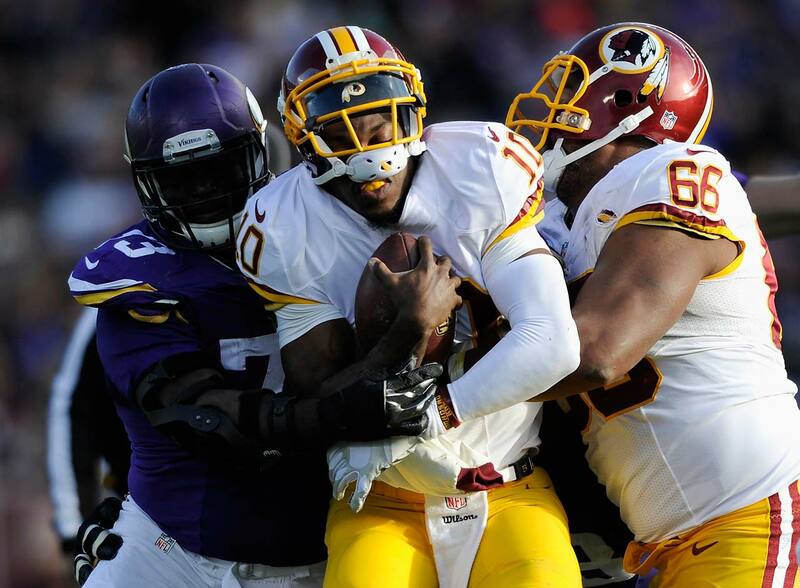 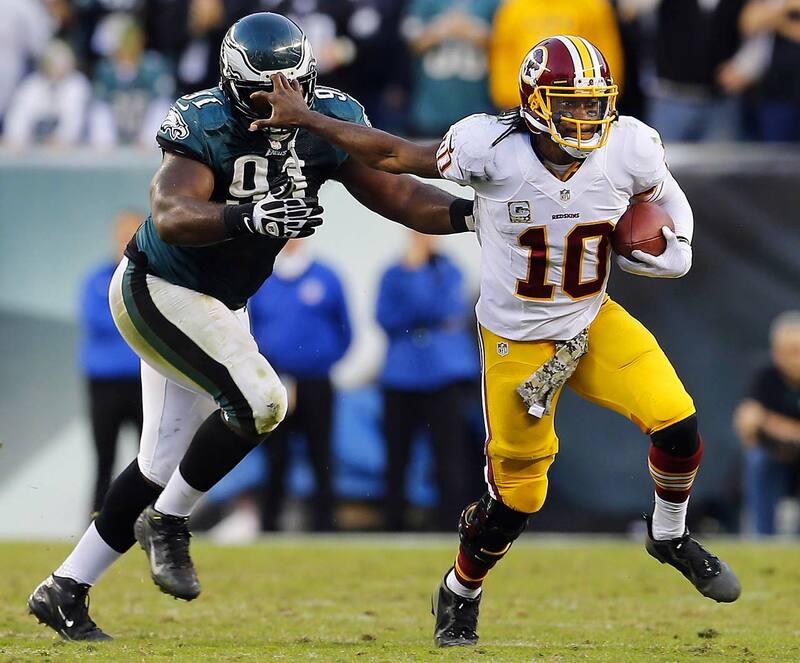 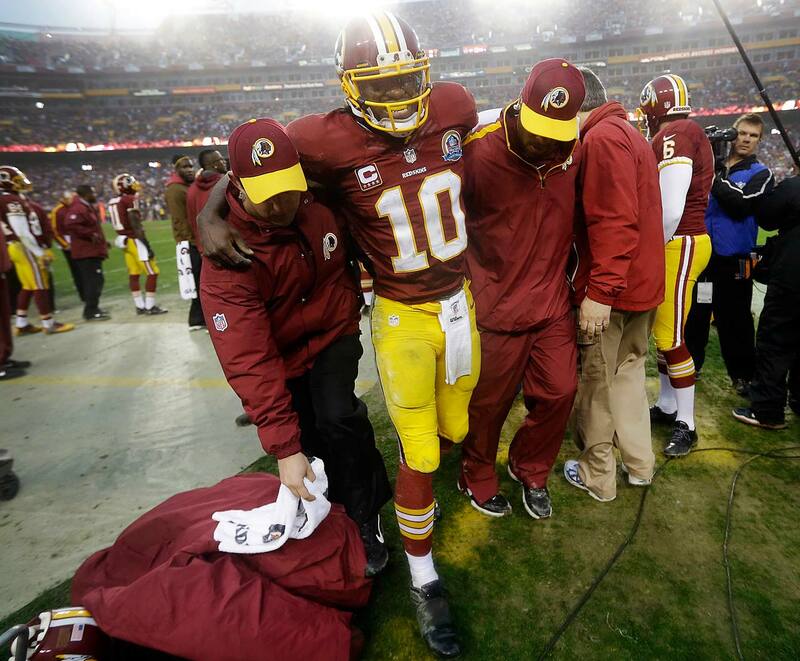 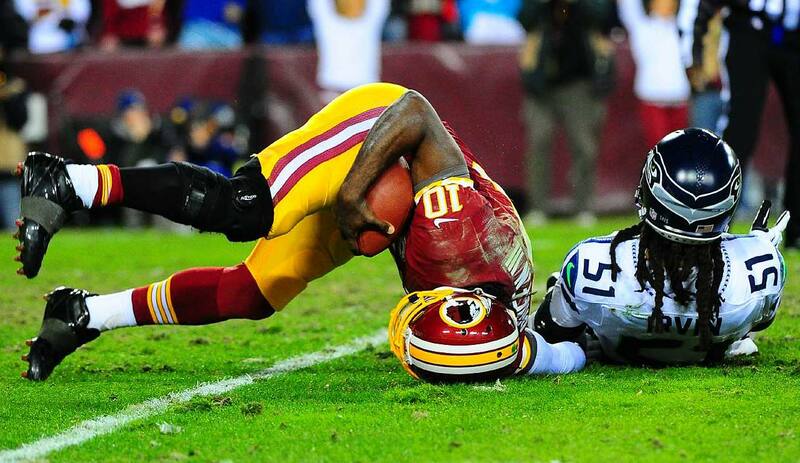 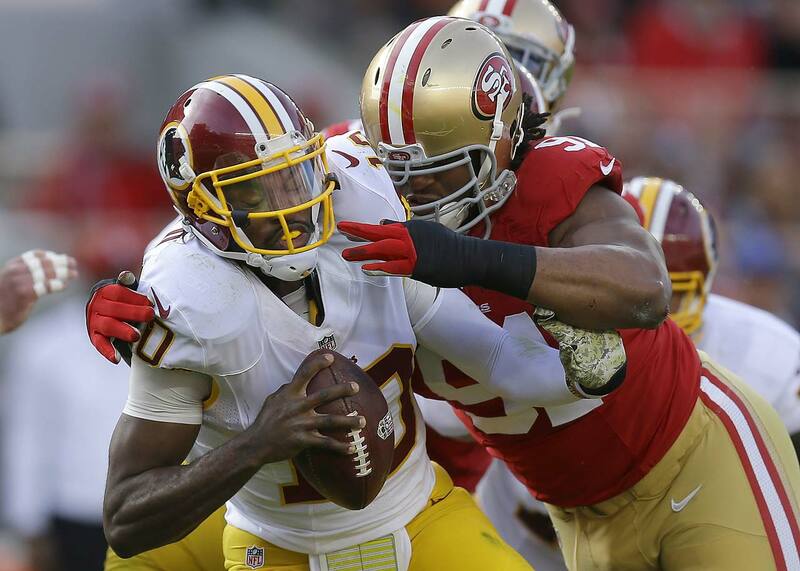 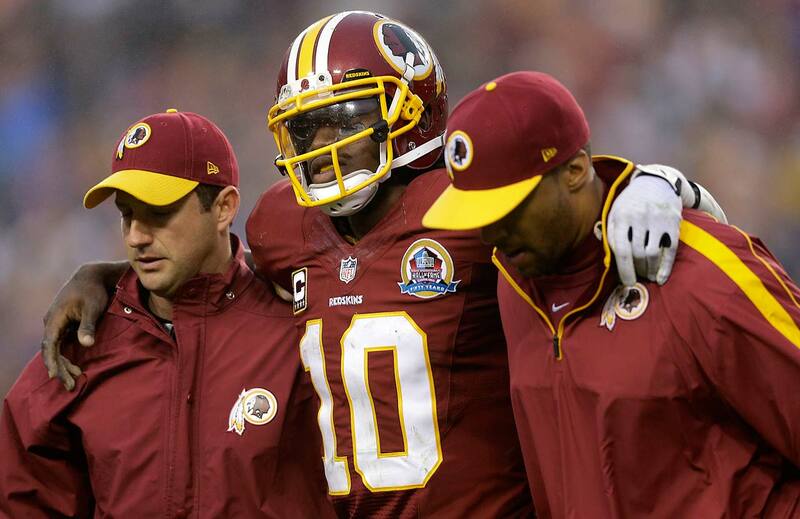 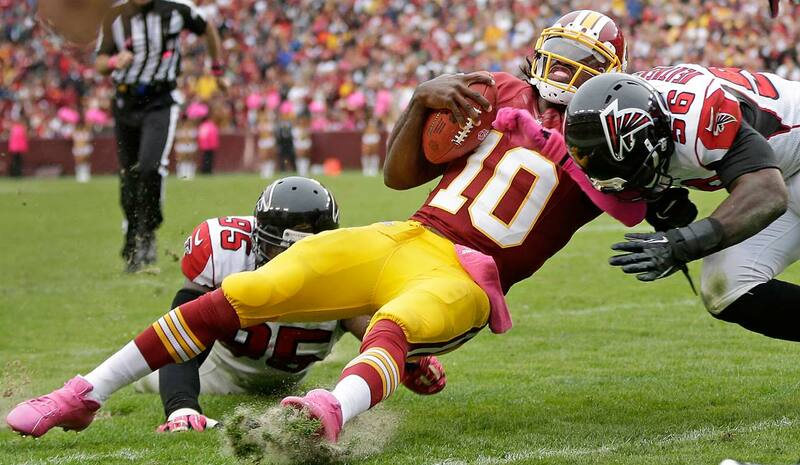 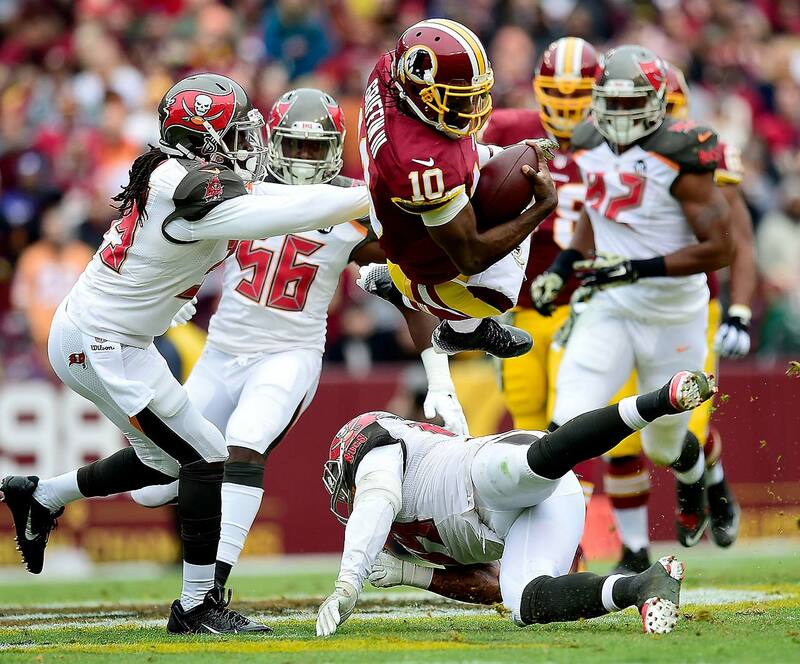 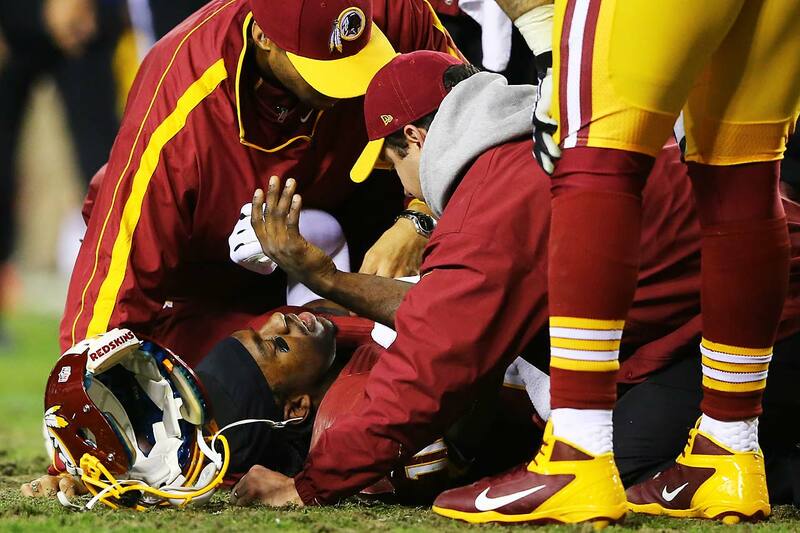 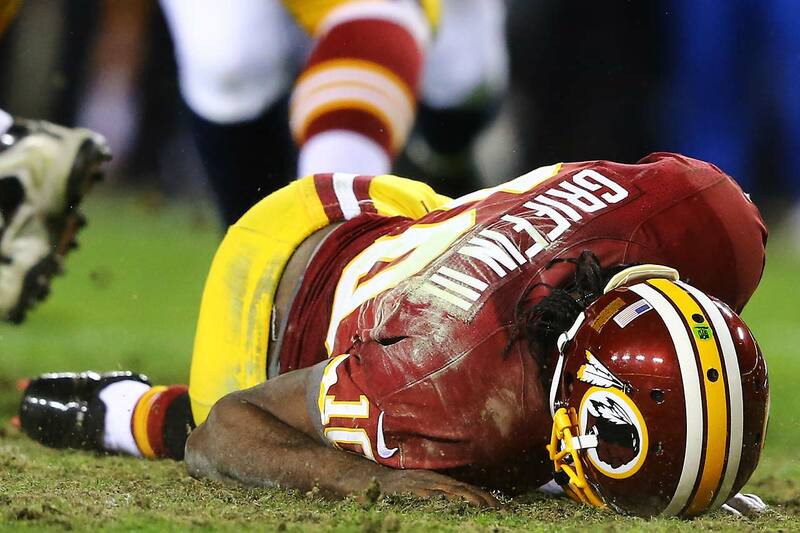 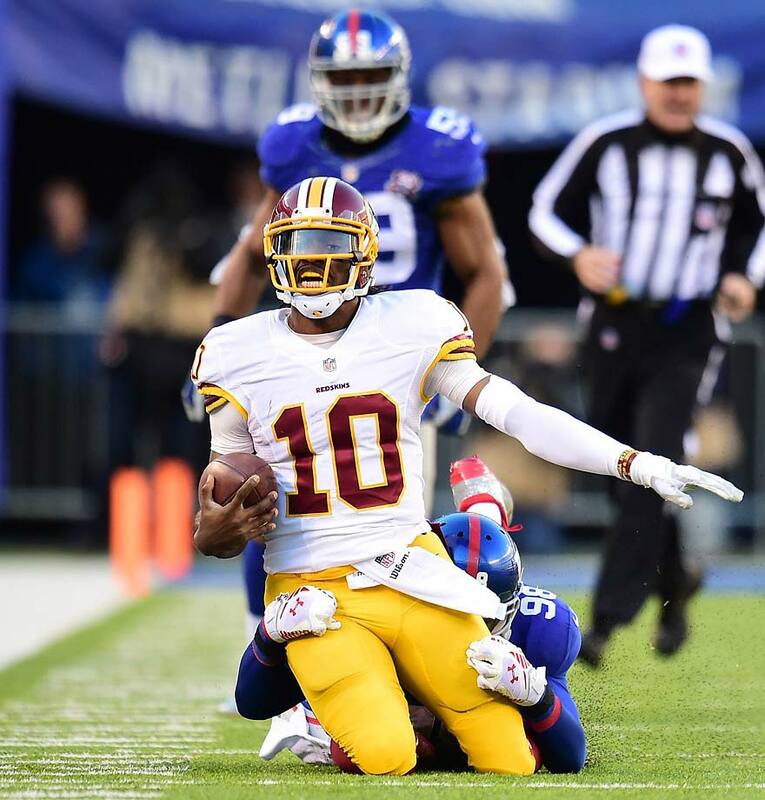 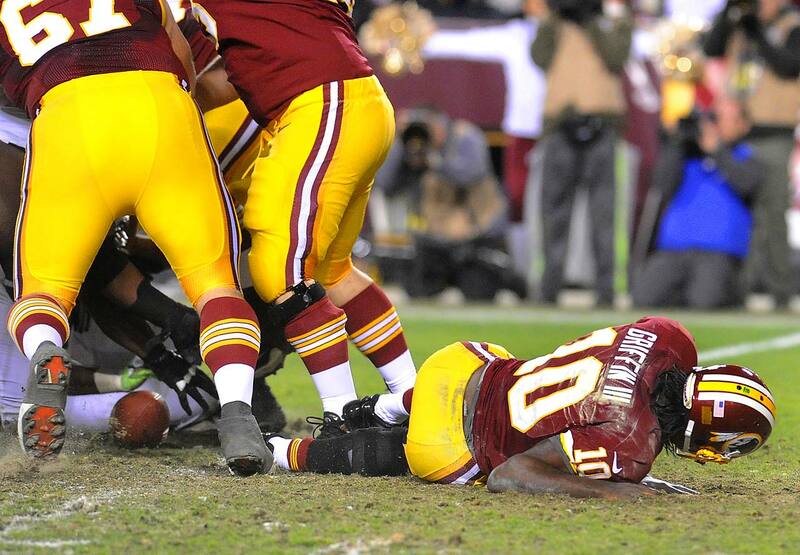 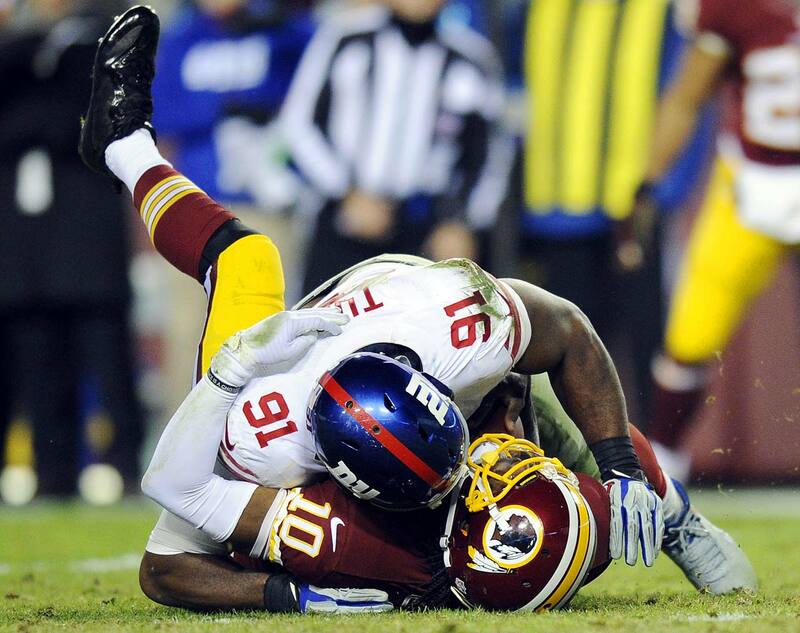 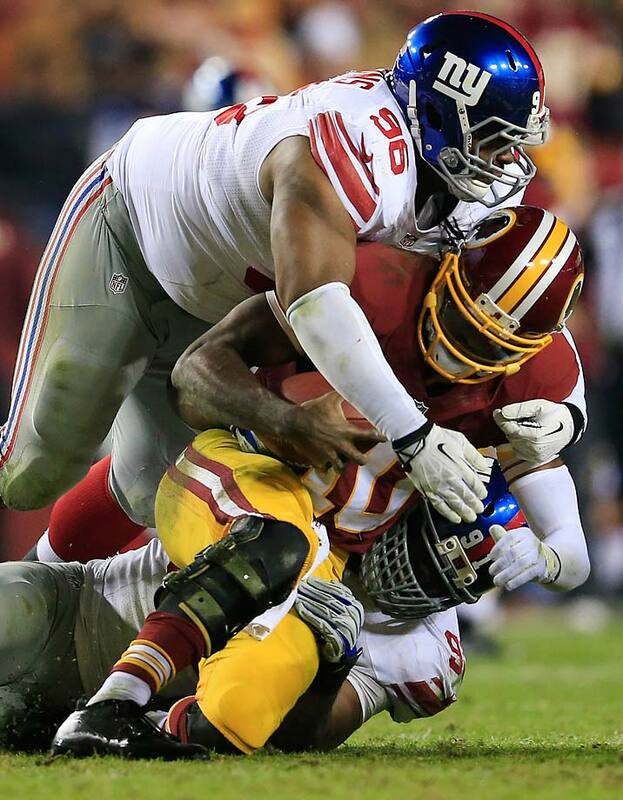 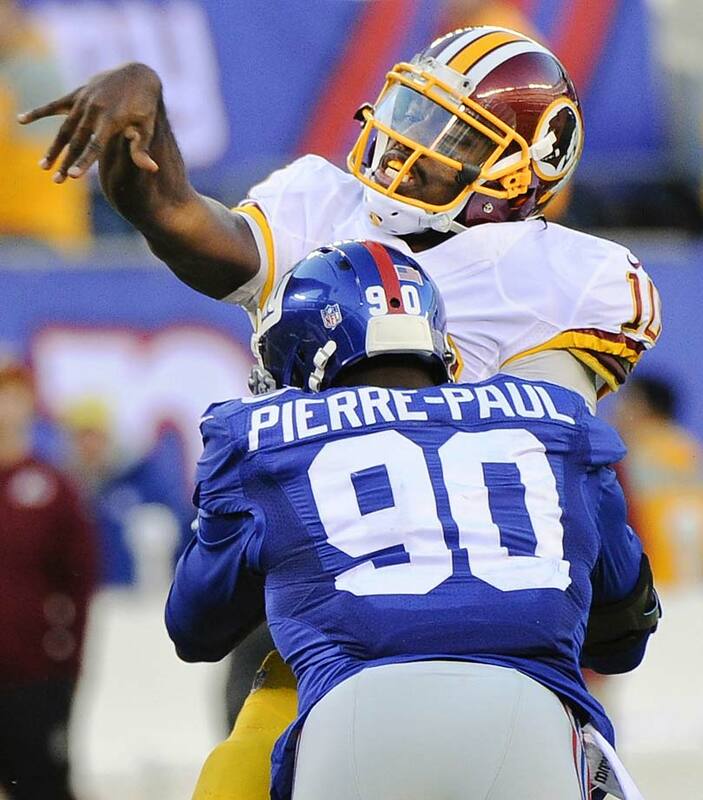 Washington Redskins quarterback Robert Griffin III's concussion is not considered severe, and he could play next week against the Ravens, reports Mike Jones of The Washington Post. 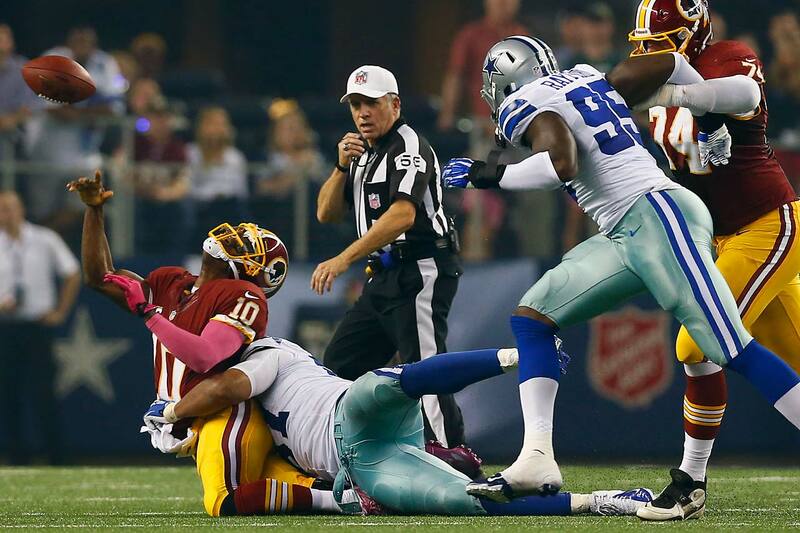 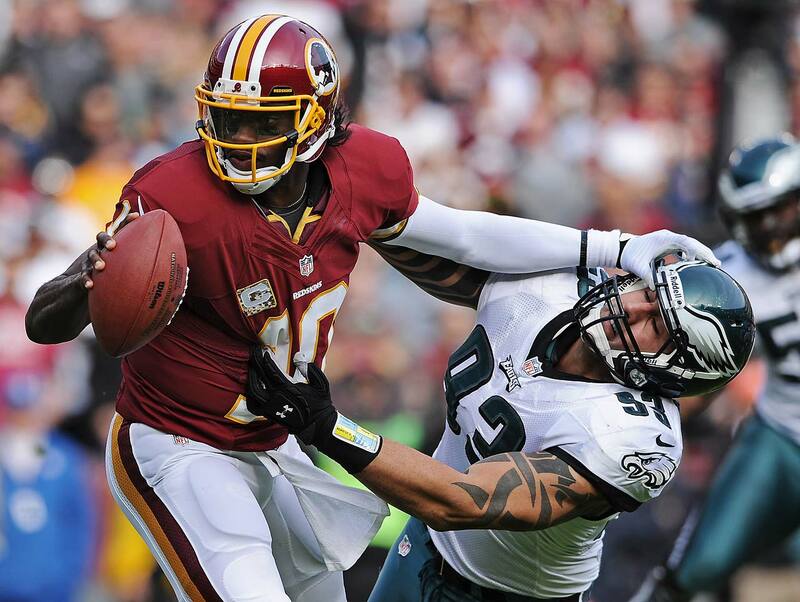 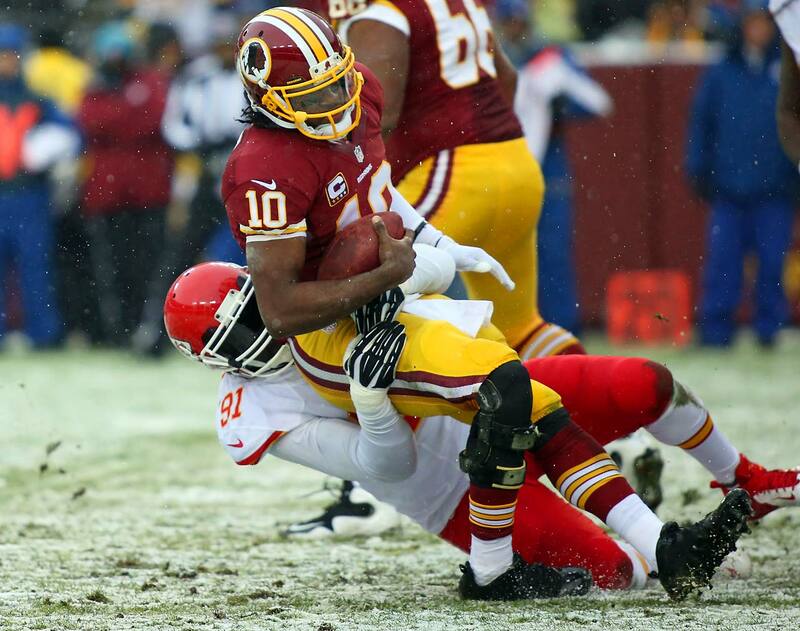 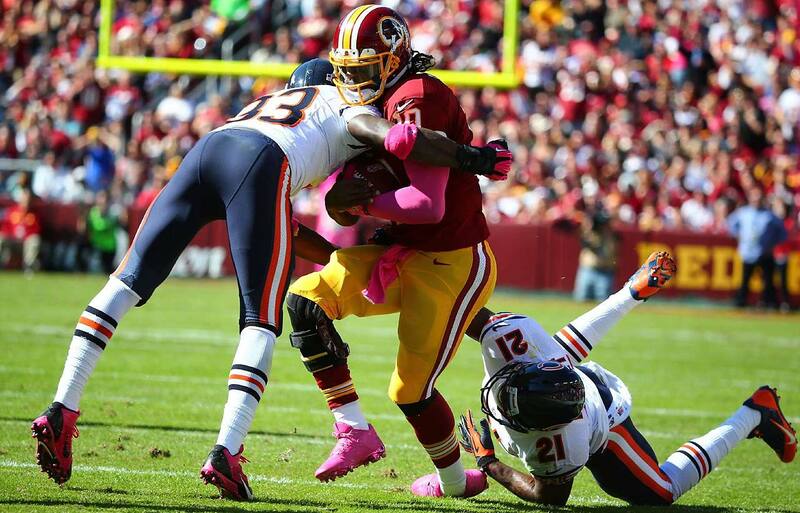 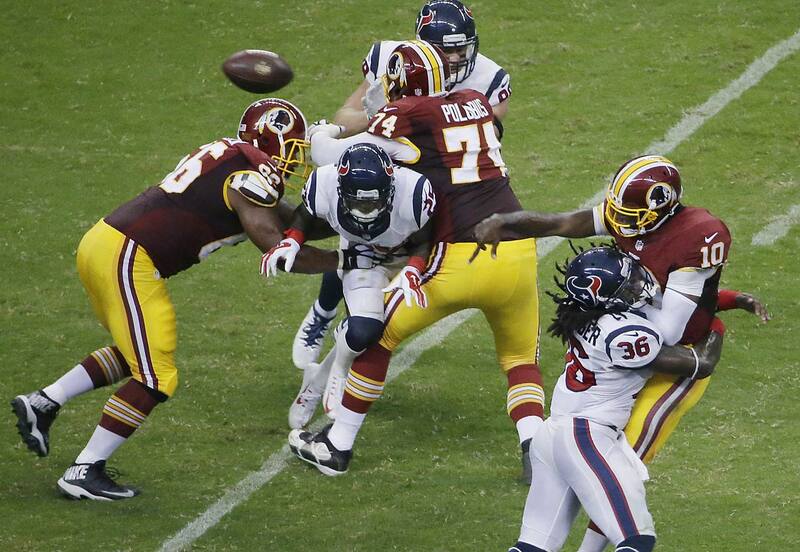 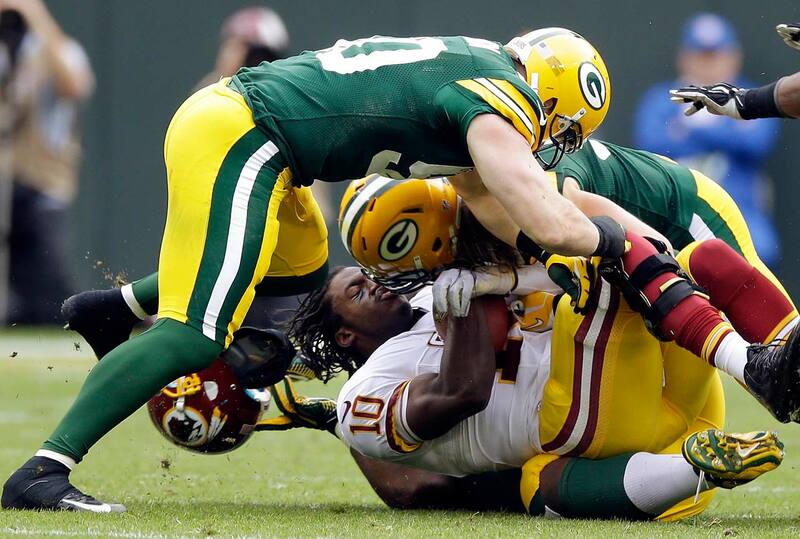 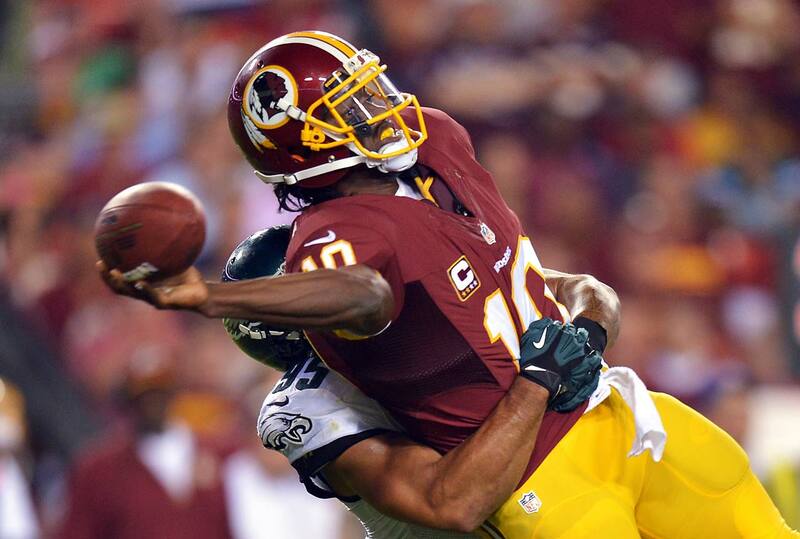 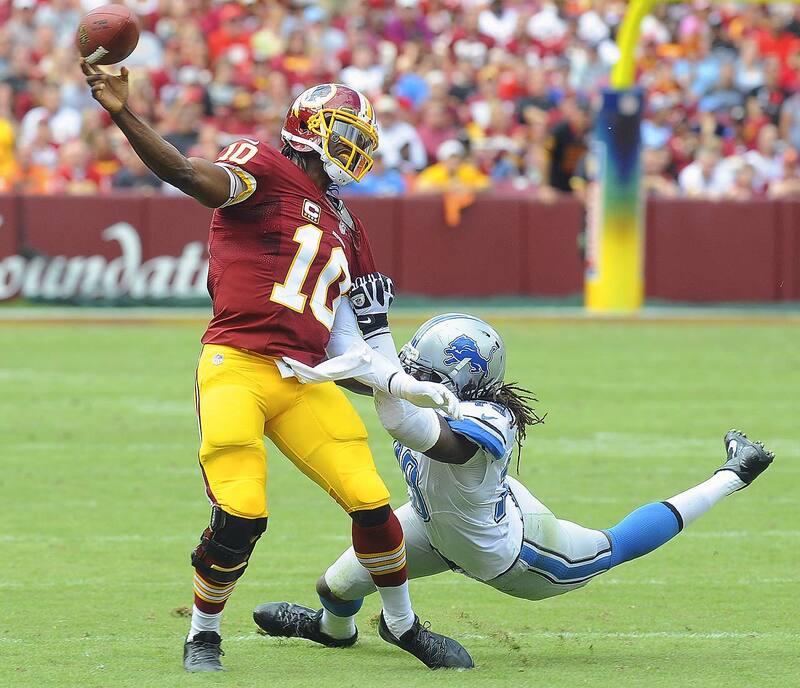 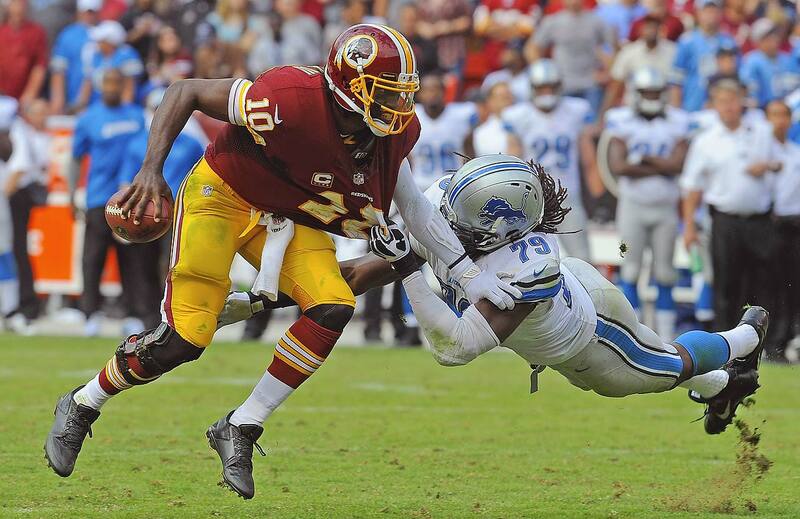 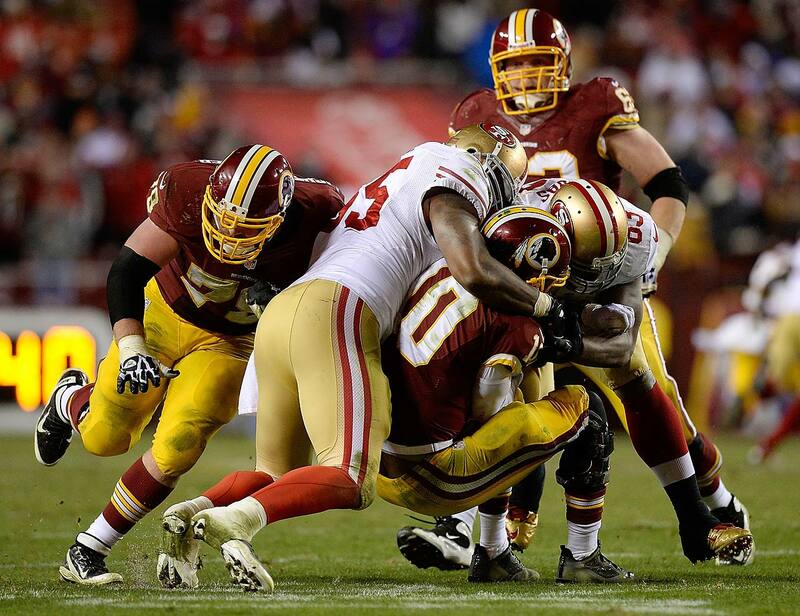 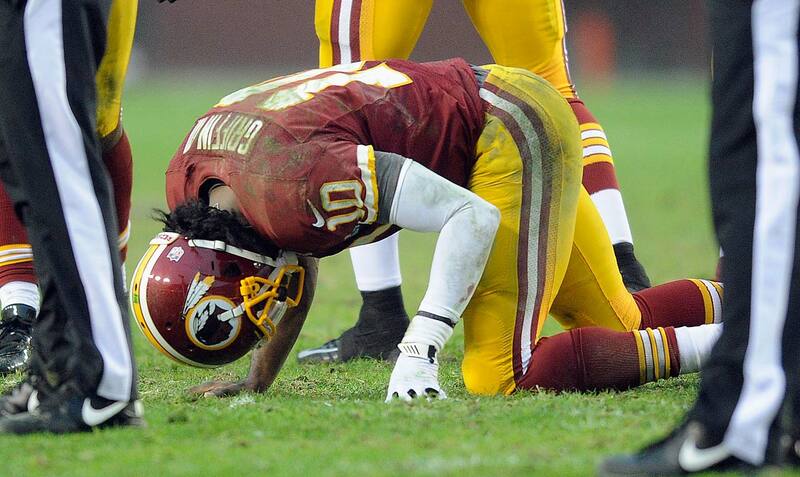 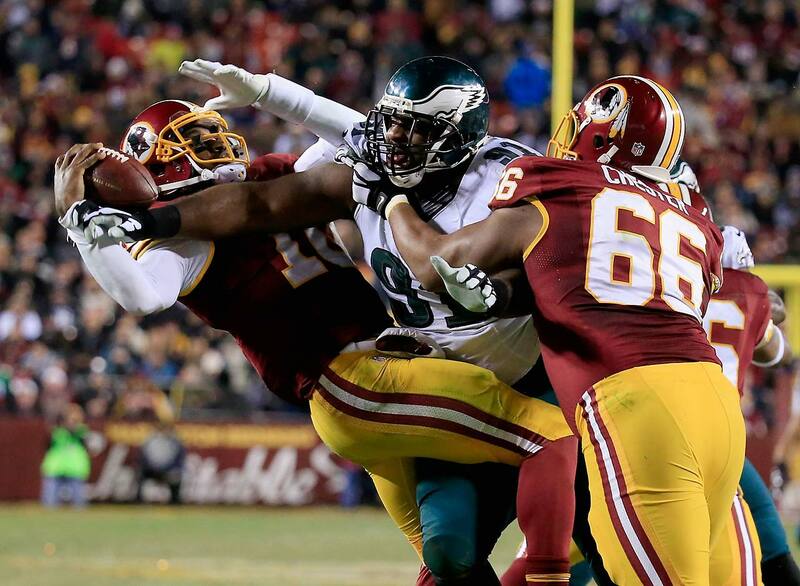 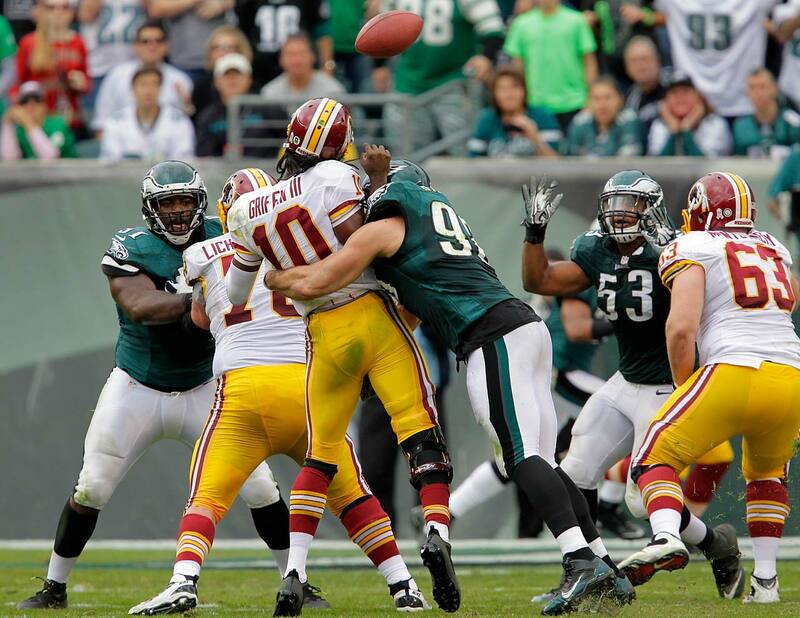 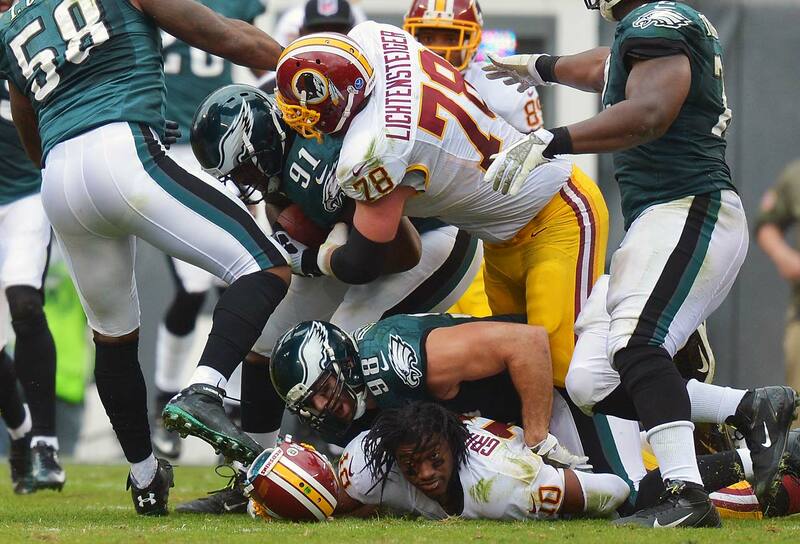 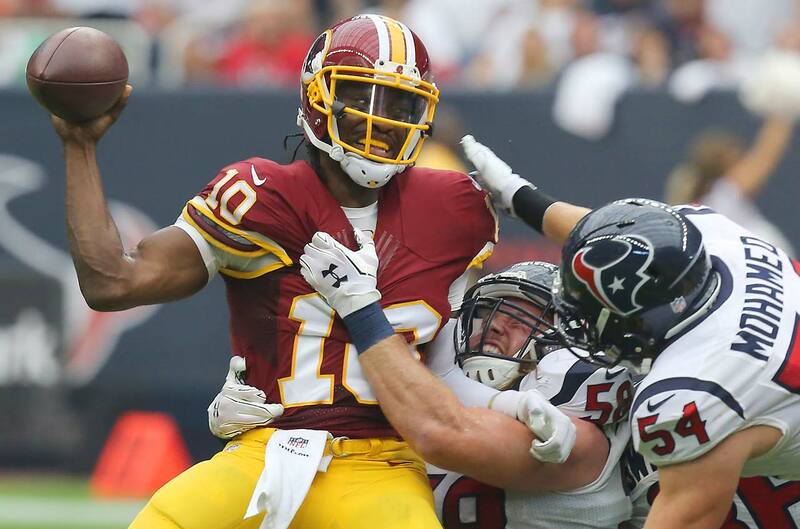 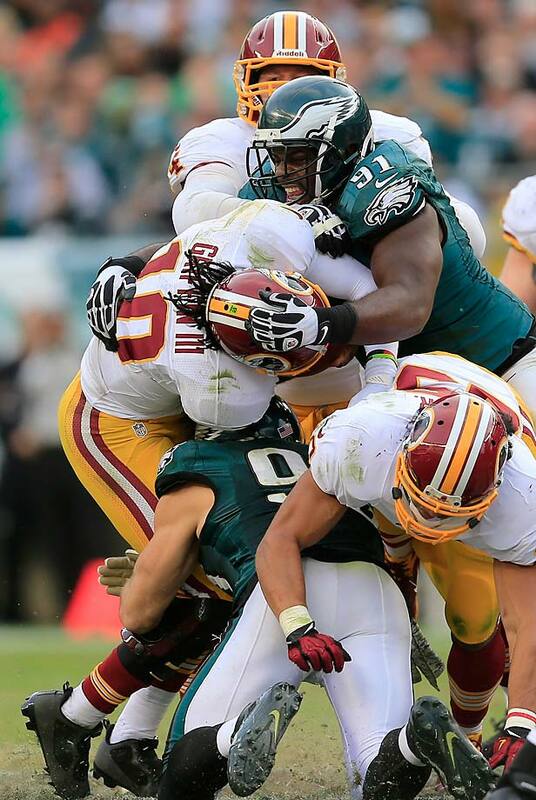 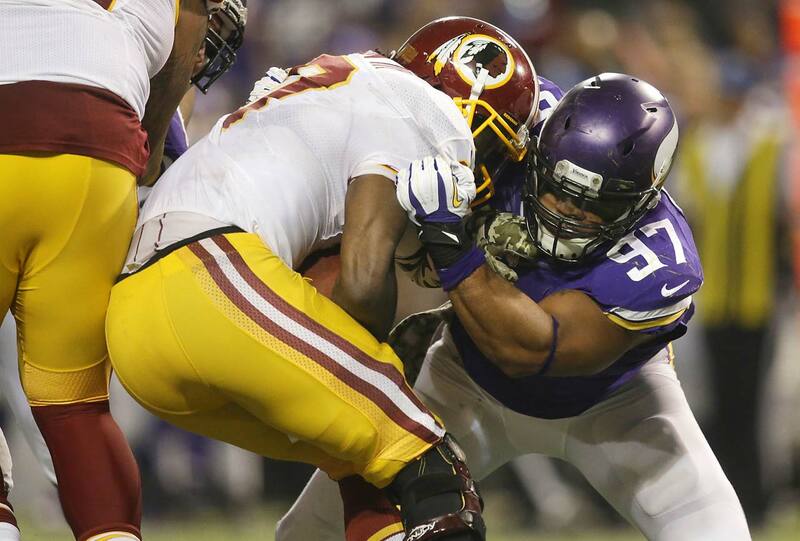 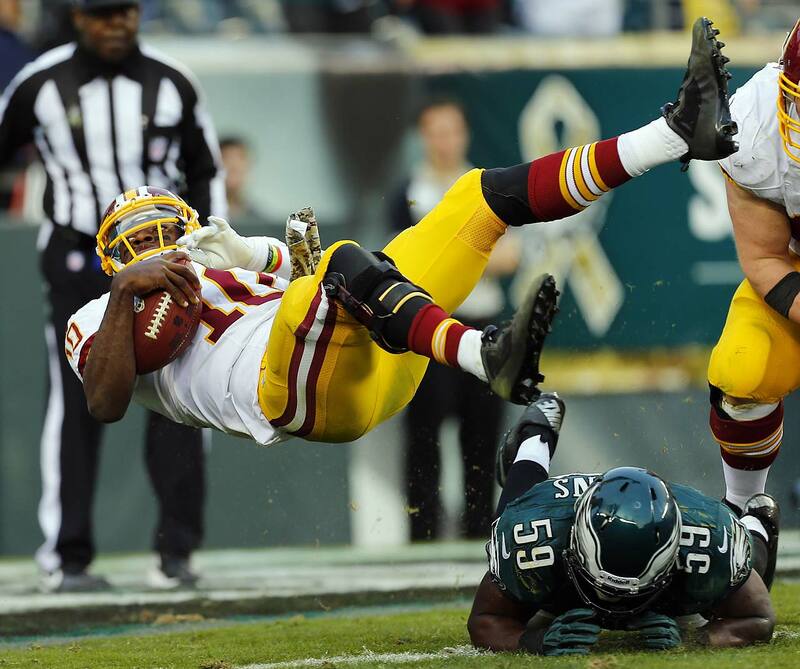 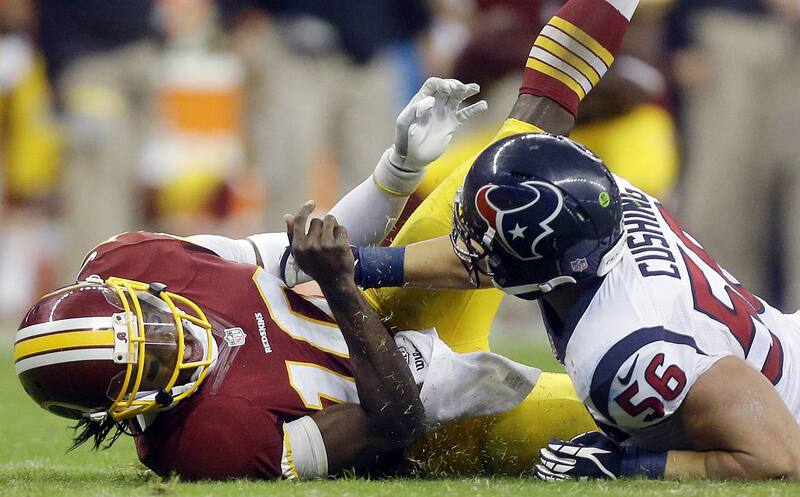 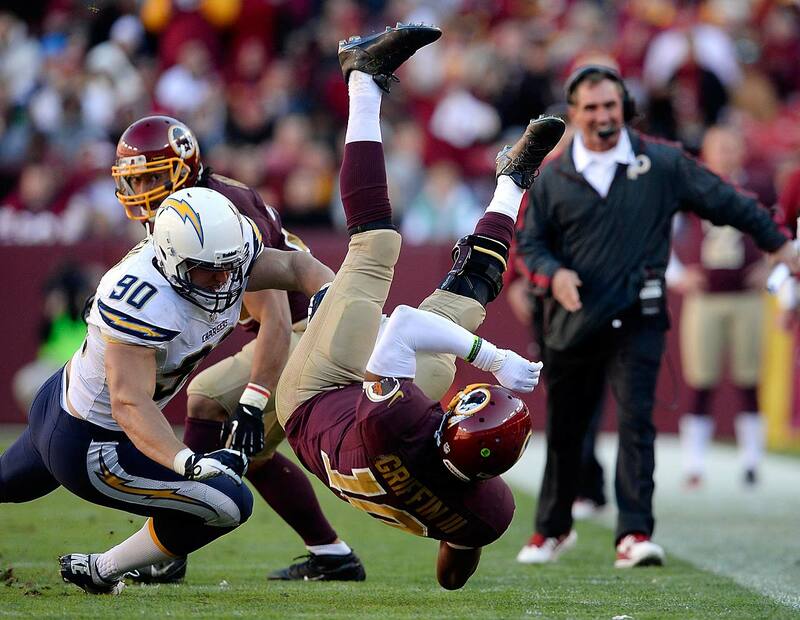 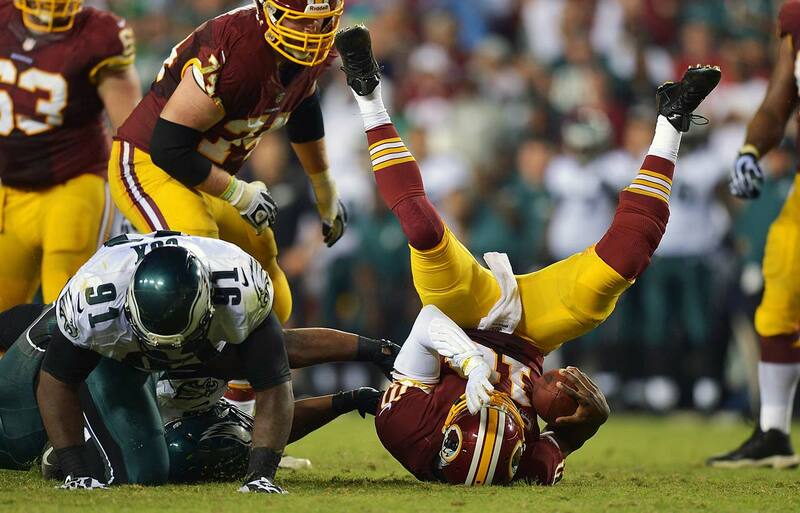 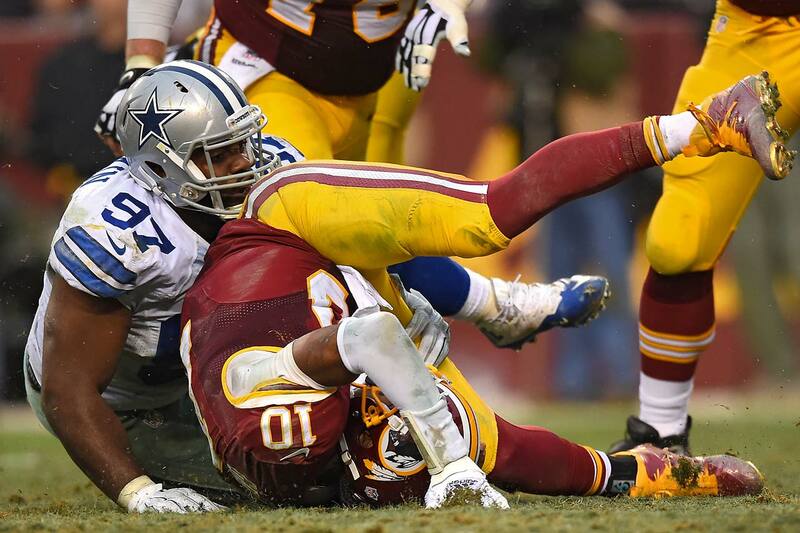 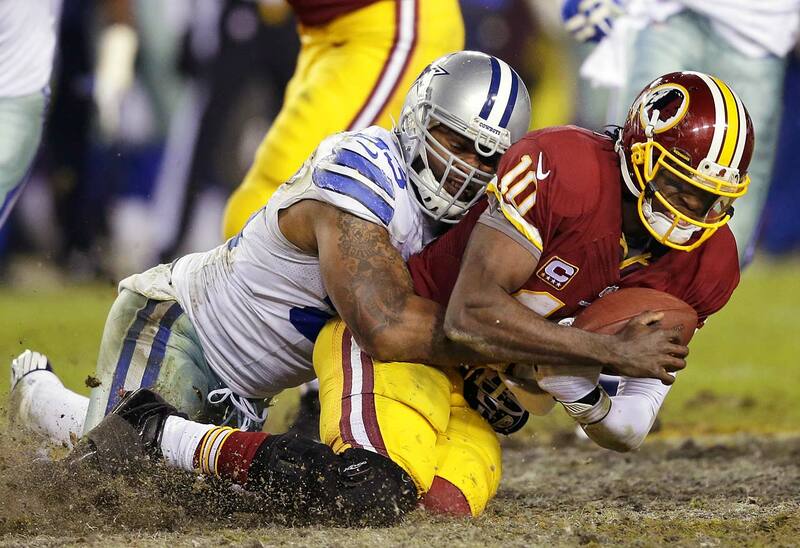 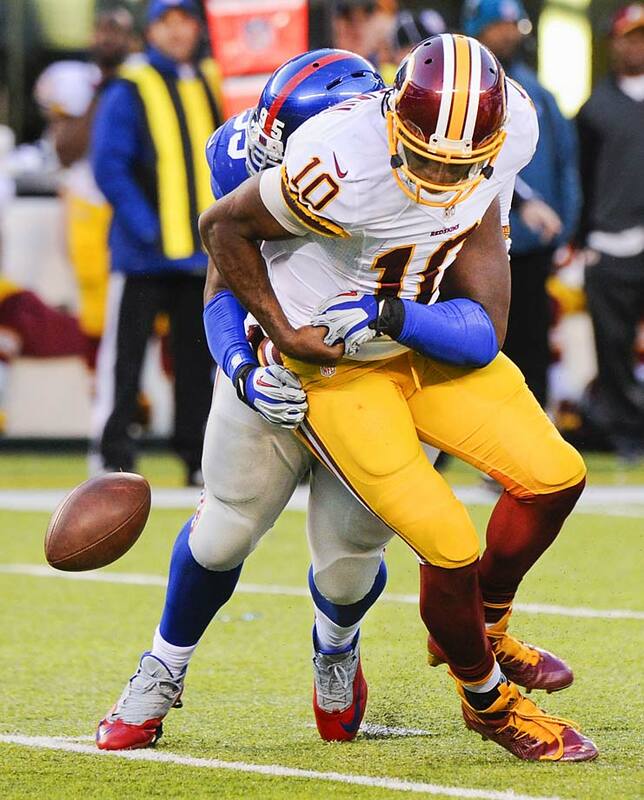 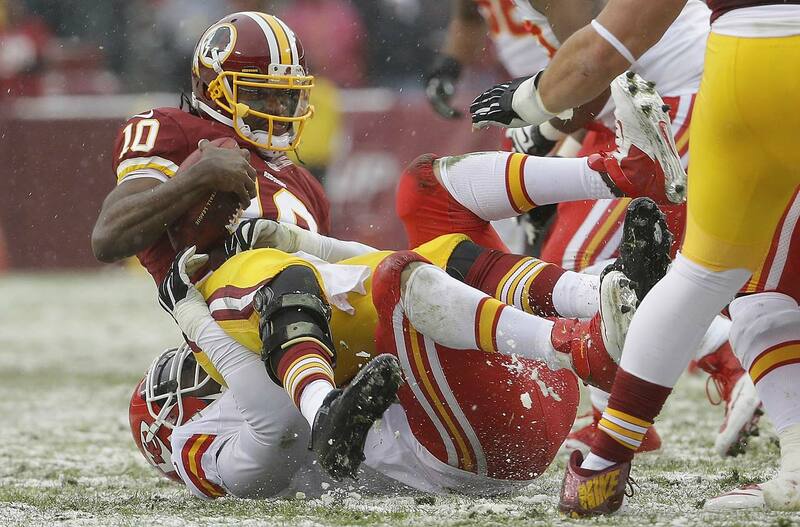 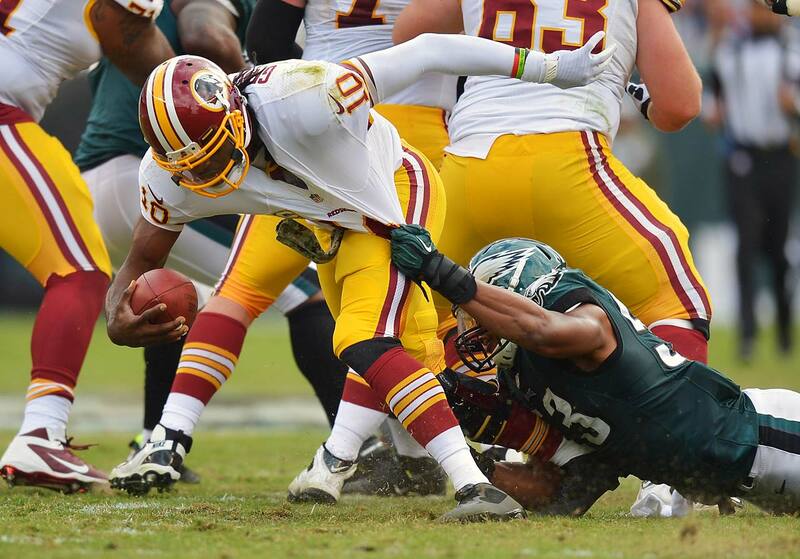 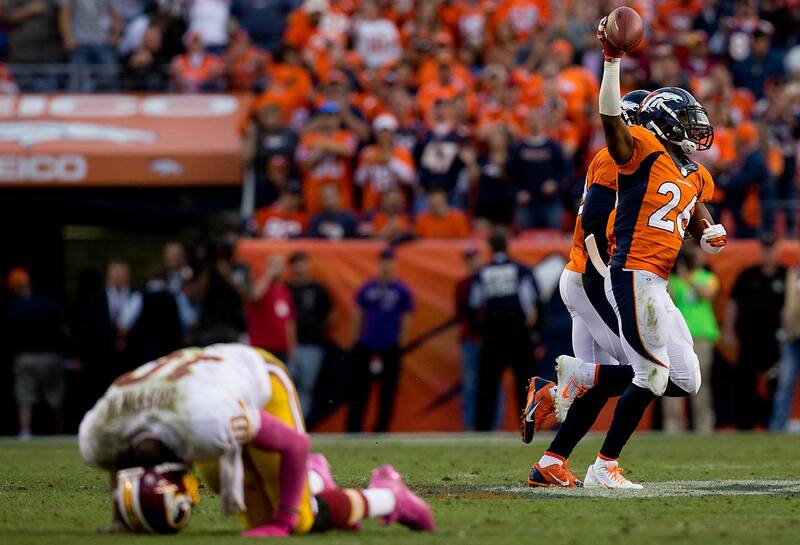 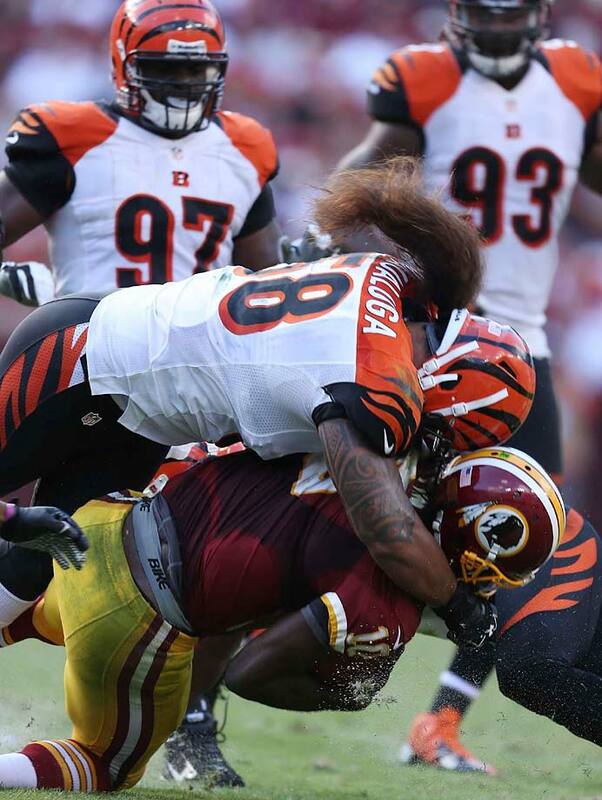 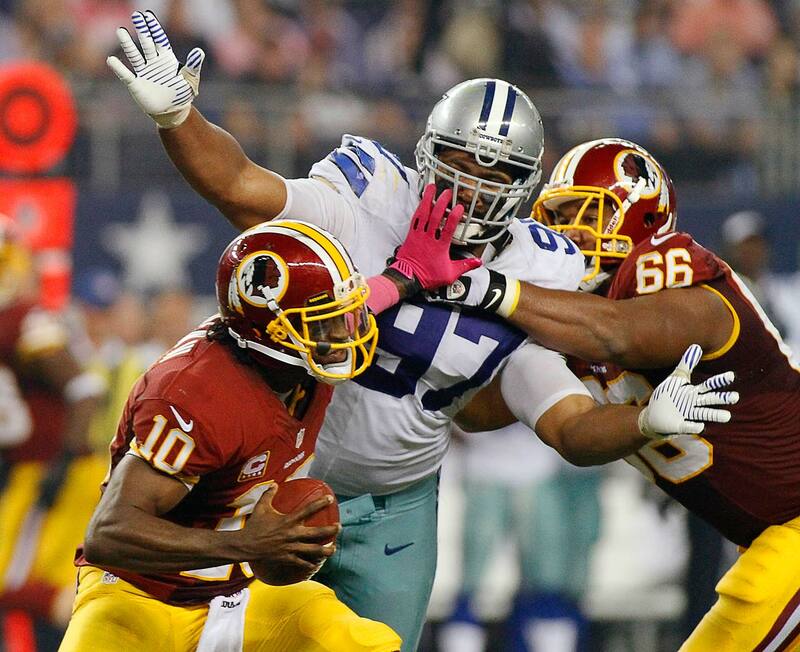 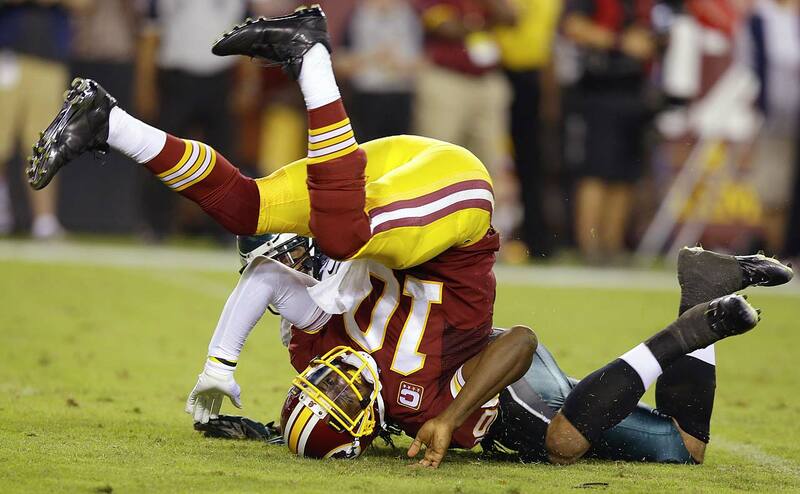 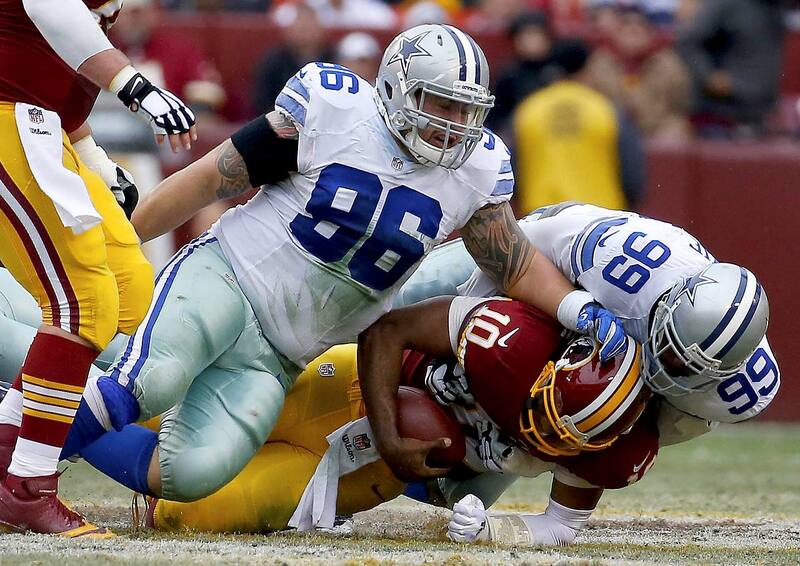 Griffin sustained a concussion and a shoulder stinger in the Redskins' 21–17 win over the Lions on Thursday. 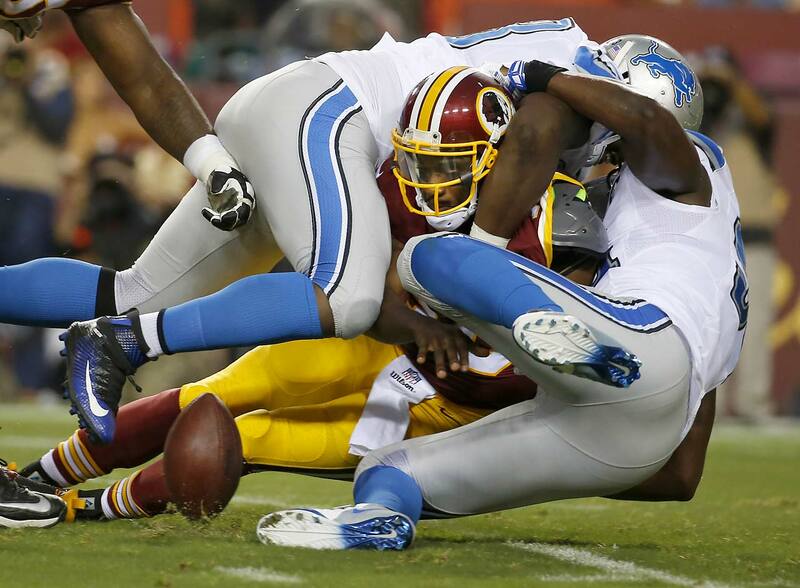 Lions defensive end Corey Wootton hit Griffin in the second quarter of the game as Griffin was scrambling to recover a fumble. 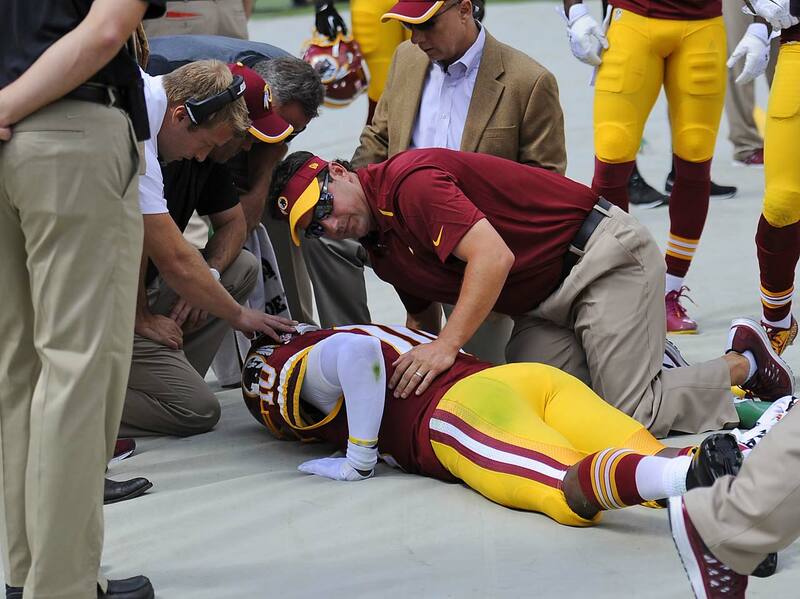 Coach Jay Gruden said Griffin went through concussion protocol and that his shoulder was not injured. 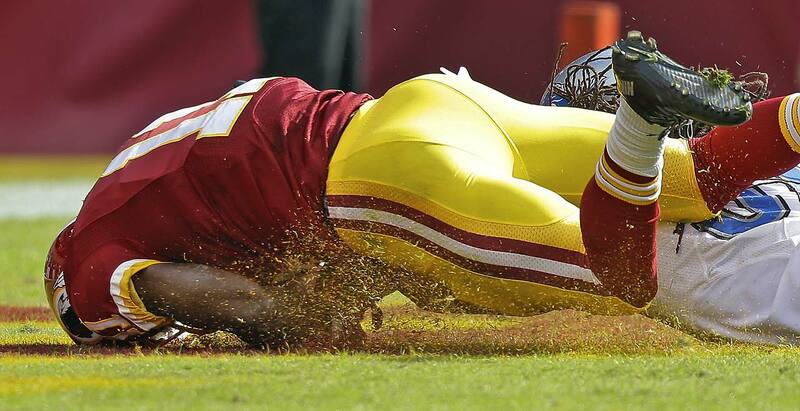 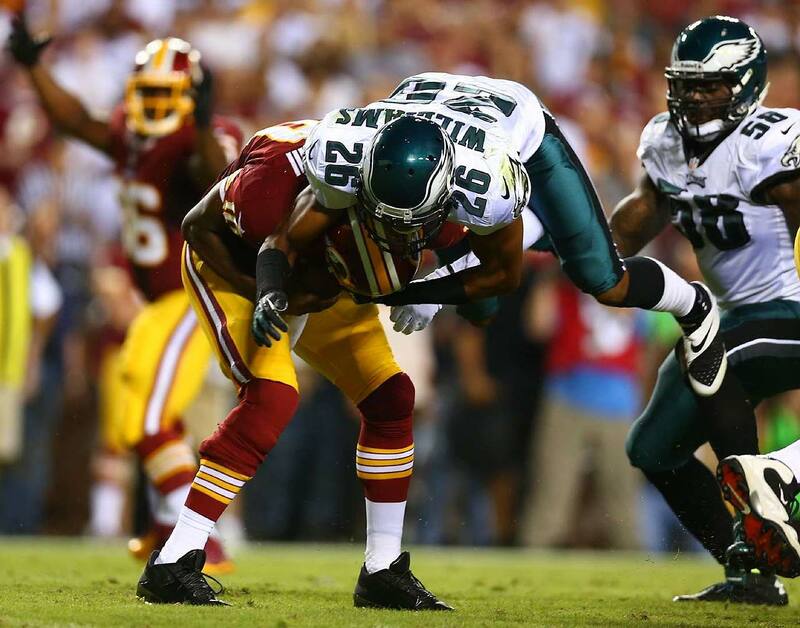 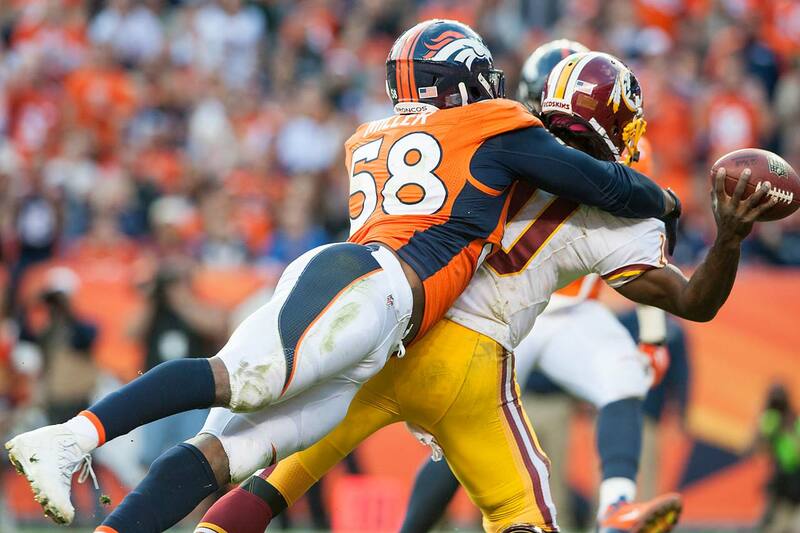 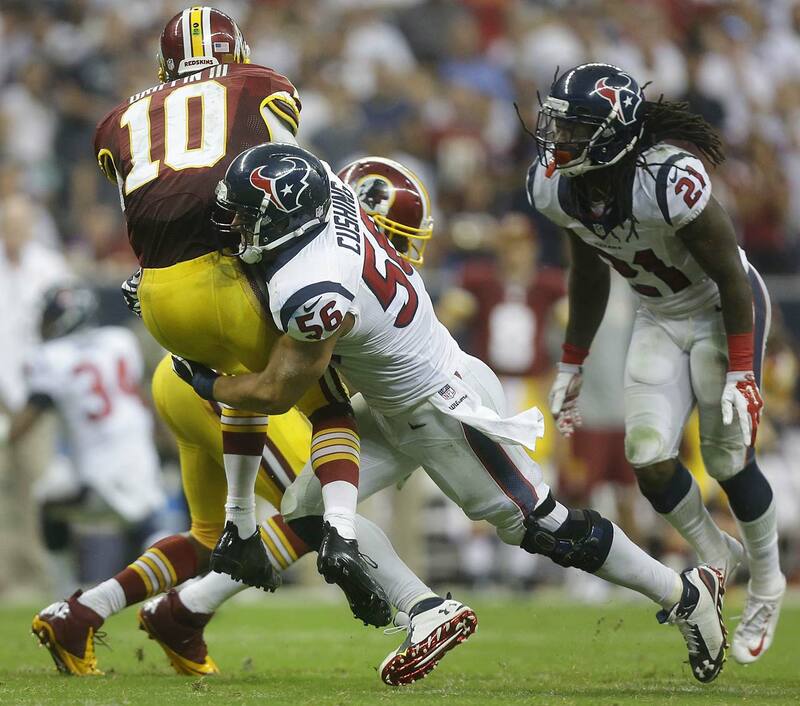 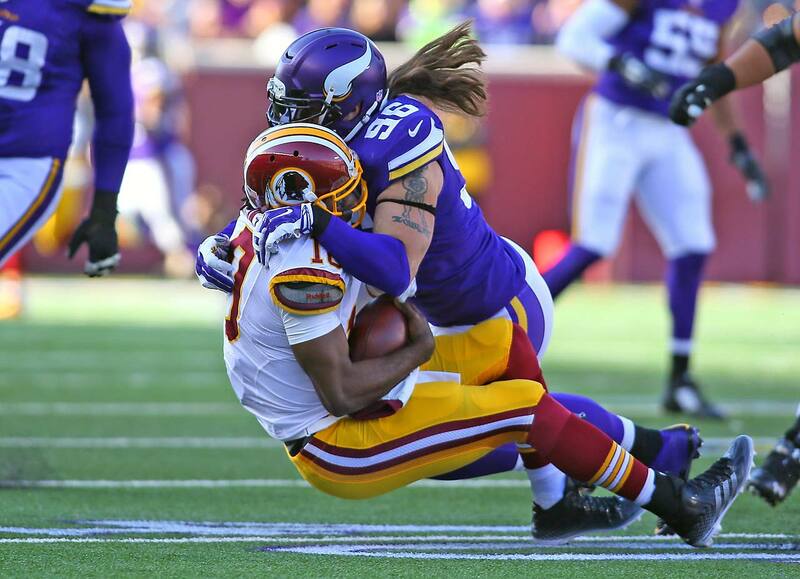 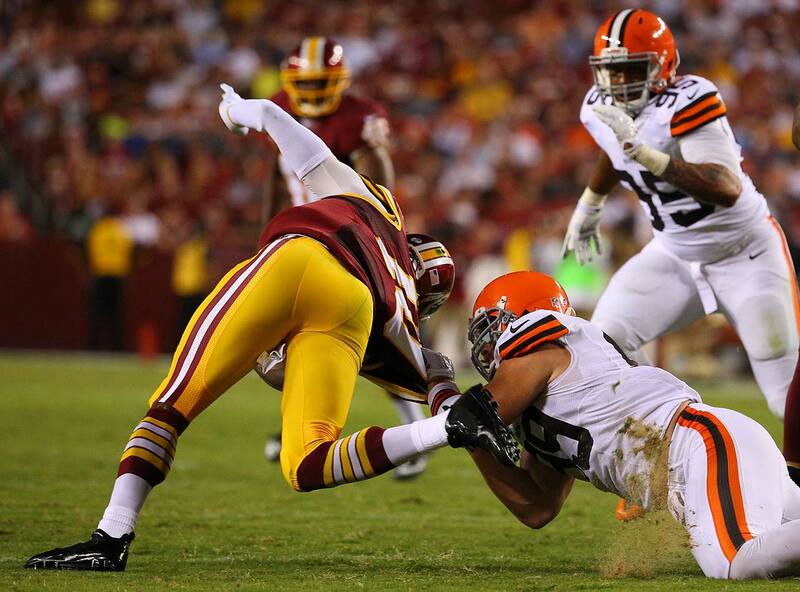 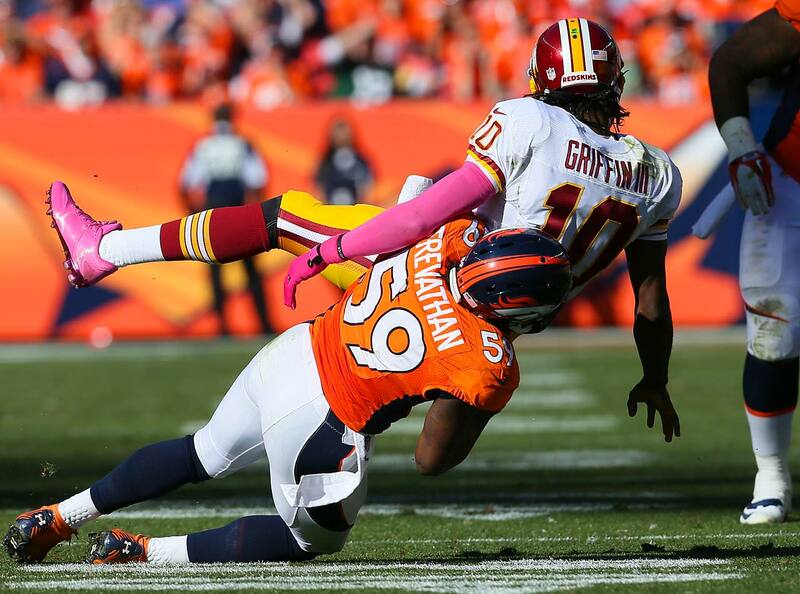 Griffin has dealt with multiple injuries throughout his three-year career, including undergoing reconstructive surgery on his right knee after sustaining a torn ACL in a 2013 playoff game. 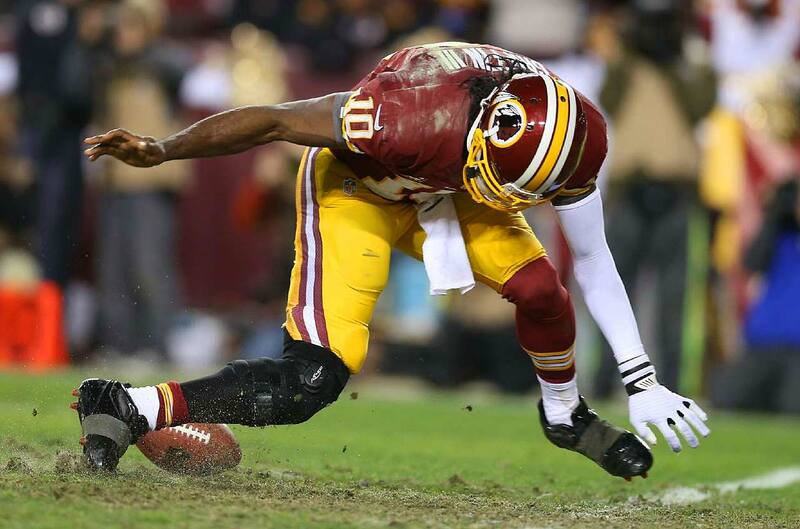 As the saying goes, No pain, no gain, but Robert Griffin III seems to have suffered more than his share of the former with little of the latter since entering the NFL in 2012. 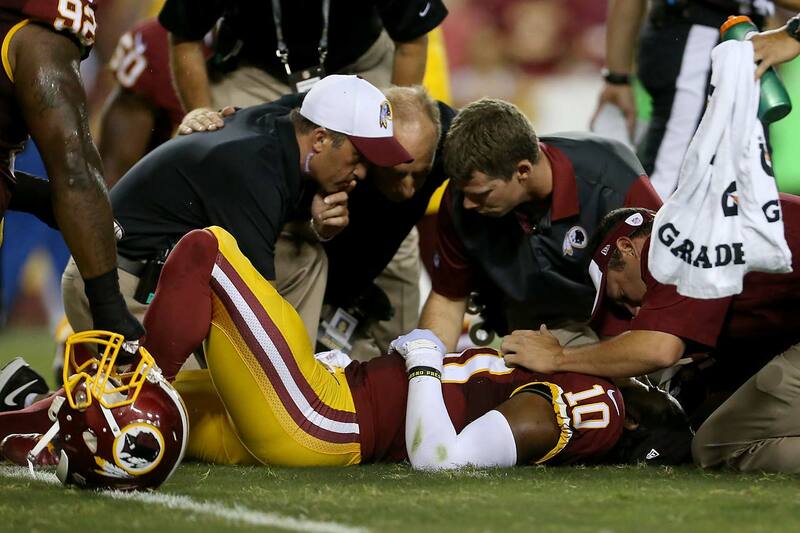 Here, then, if you're brave enough, is a look inside the Washington quarterback's house of pain. 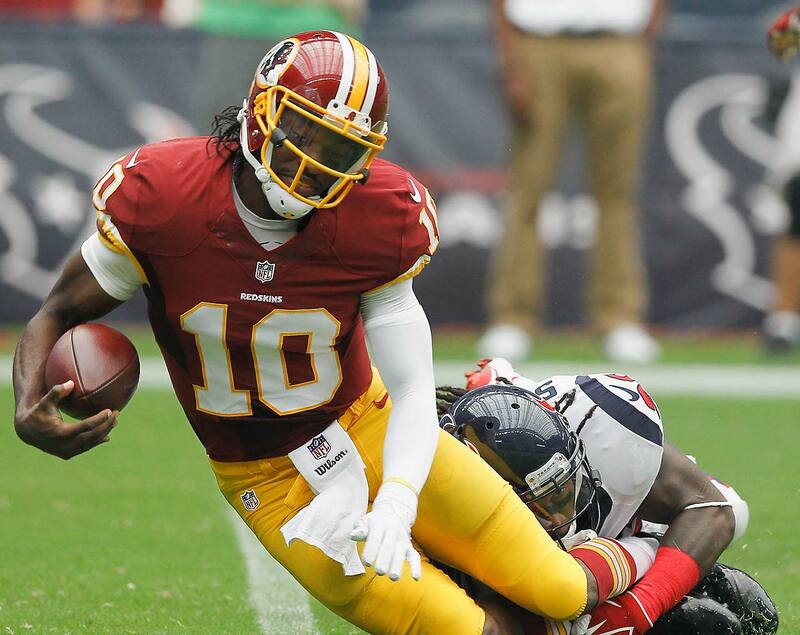 Griffin is Washington's starting quarterback, but would be replaced by Colt McCoy if he were sidelined for significant time. 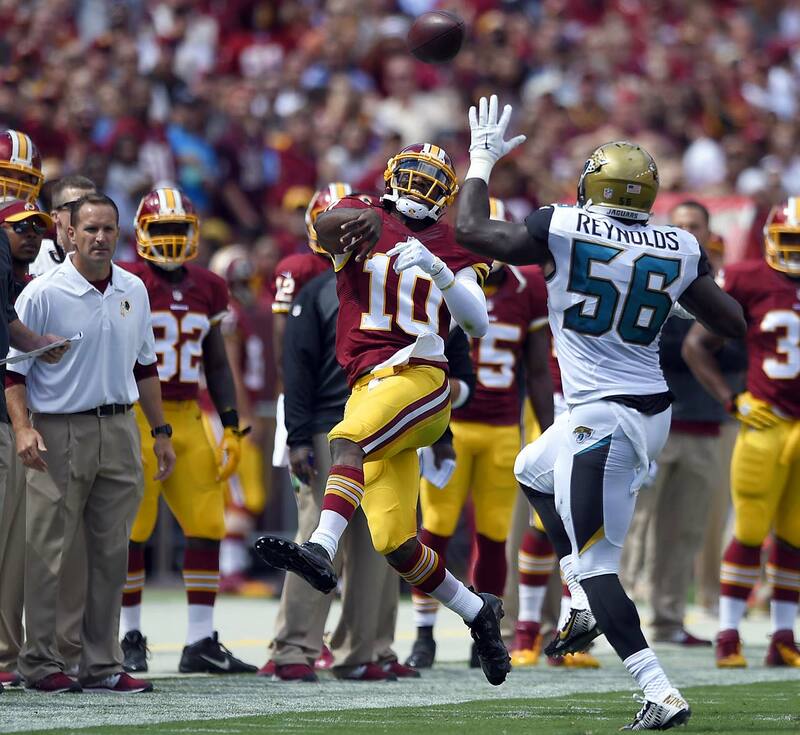 The Redskins will face the Ravens and the Jaguars in their final preseason games before opening the season on Sept. 13 against the Dolphins.